States that are fighting to legalize marijuana next year should be paying close attention to what is happening in Ohio. Ohio’s ballet measure, Issue 3, was defeated by a crushing 64 percent by voters. The ballet would have allowed only 10 marijuana growing sites in Ohio. The sites were owned by some of the wealthiest individuals in Ohio like reality TV star Nick Lachey. This fact may have been a leading reason why legalization was denied by voters. Issue 3 would have made recreational pot legal for Ohio residents 21 and older, and medical marijuana legal for residents suffering from certain illnesses. It would also let home growers cultivate up to 4 flowering plants at once, but growers would have to pay a $50 fee. 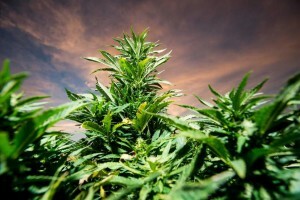 Keith Humphreys, a member of California’s Blue Ribbon Commission on Marijuana Policy, noted that the Ohio initiative was pushed by wealthy investors with no previous connection to marijuana activism in order to benefit from a lucrative oligopoly on marijuana cultivation. The loss comes as a major blow to recreational and medical users, and to investors. Many investors in the proposed grow facilities put up to $2 million per site to fund the pro-legalization campaign. Some state representatives are satisfied with the amendment’s failure. State Representative Mike Curtin (D-Marble Cliff) believes the initiative was the result of a collusion between politicians and deep-pocketed investors to make amendments to the state constitution that will mostly benefit investors. Curtin claims that what happened in Ohio is now happening across the country, and state legislators should ensure that the interests of businessmen do not supersede the interests of the general public. Marijuana Merchant Account (MMA) offers a variety of marijuana payment solutions like debit cards, credit cards, dispensary check processing, and more. If your state provides legal recreational or medical marijuana growth and distribution, you’ll need a payment processor with experience and resources to increase your profits. Don’t wait on big banks to support your merchant account. Contact us to start Dispensary Check Processing today! This entry was posted in Ohio Marijuana and tagged Dispensary Check Processing, Medical Marijuana in Ohio, Ohio Marijuana by admin. Bookmark the permalink.